Is this today’s big unveiling? Is this today’s big unveiling? I don’t mean at Leeds United, where their stunning 2016 calendar goes on sale, but of course at Brentford. Whilst we’ll get to Elland Road shortly, in TW8 we are five days on since Lee Carsley announced he’d spent his last game in charge of the first team. However, at the time of writing (Thursday morning, 6.30am) we are no closer to knowing who will succeed him in time for the televised game at Bolton Wanderers on Monday. On what is, traditionally, ‘press day’ at the Brentford Media Centre, could we meet the new man? Or woman? Few clues have been given out beyond the mention of names as diverse as Pep Clotet, Justin Edinburgh, Uwe Rösler and, erm, Neil Warnock. Even our beloved local press, so often happy to chuck any ‘transfer related double swoop’ name into the mix, in the hope that some mud sticks, have gone silent on the topic. So will we find out today? I’m no wiser. As a humble blogger my own knowledge is no greater than anybody reading although I share your enthusiasm in wanting to find out who the next occupant of the monogrammed training wear will be. What I can confirm is that, currently, my own availability is yet to entice Matthew Benham to pick up the phone. With a 100% win ratio as co-manager of ‘Brentford Legends’ and a failed (on the assumption that nothing got ‘lost in the post’ ) application to manage Preston North End back in 1990 on my C.V., this can only mean there is a ‘big gun’ lined up. Although if not…Mr. Benham – I’m still good for it. Could the reply still be lost in the post? The other reveal that is definitely due is that of the new Leeds United 2016 calendar. Apparently this has been deemed ‘controversial’ but I think it’s nothing short of pure class. Put together by nightclub owner and friend of Massimo Cellino, Terry George, it features the players in what could be deemed ‘unconventional’ poses. Certainly , it bucks the trend from the standard ‘match action’ calendar that contains the sort of pictures we see on websites and in programmes, day in day out. The club have even put together a launch video on YouTube showing the players in everything from their smalls to fishing gear. All of which got me both admiring the brilliance but also wondering if there is time for us to go down a similar route. Assuming, of course, that the marketing team don’t already have something similar lined up. 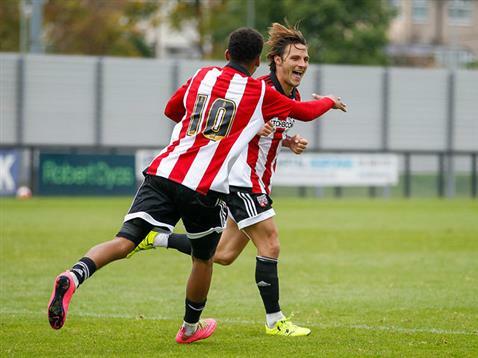 ‘Brentford is Brilliant’, proclaim signs all around the town. What better way to show this than have the players involved in a series of shots celebrating our heritage? David Button juggling hot plates in Brentford Tandoori. Harlee Dean feeding the ducks at the canal. Alan Judge at Brentford County Court.Lewis Macleod picking up the leaves in St.Paul’s Park. Perhaps, though, we’ll leave Sam Saunders away from the car wash.
Could we have a new Mr. January 2016 ? Brentford fans have woken up to the news that Saturday’s game against Blackburn Rovers has just been made all that harder. This, after Lee Carsley pipped Steve Bruce of Hull City, amongst others, to the much coveted ‘Manager of the Month’ award for October. And whilst, of course, Lee deserves nothing but the hugest congratulations, the associated ‘jinx’ that comes with it (scoop the award, lose your next game) will be something he needs all his powers to overcome. Whoever gets the kudos, to be recognised in such a fashion just five weeks after taking over from Marinus is an incredible achievement. The transformation has been a stunning one whilst, whatever else happens this season, Lee has guided us to victory over our fiercest rivals. Whilst the jinx worthy amongst us may now be worried about what comes next on Saturday, the oft-quoted stat regarding the post-award defeat is one that has, to be fair, bypassed Brentford in recent years. Both Uwe and Warbs (twice) have managed to dodge it. Could Lee continue that trend at Blackburn? Well, Brentford supporters will be hoping that October’s player of the month is available to help him with this challenge. 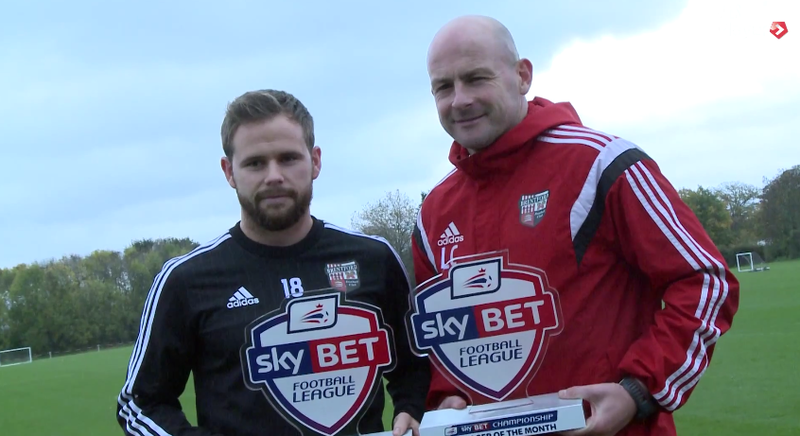 Alan Judge made it a Brentford double, picking up the onfield prize. And if Steve Bruce thought he might have had a shout for the managerial top spot after Hull City had stormed to the top of the Championship table, nobody could have disputed Alan’s reward. Three goals and four assists have seen the Bees firing on all cylinders and the opposition left very much in his wake. His absence was definitely felt in Tuesday night’s game against Hull, such is the impact he has had. The club’s YouTube video, whilst ending on a precautionary note about his potential availability for this weekend, sees the Judge in enthusiastic form talking about the month just gone. Whatever happens this weekend and this month, the season has a long way to go. Lee Carsley and his back room team have done a stunning job in reversing our fortunes. Regardless of results, it is as much the way we are playing football. With the likes of Josh McEachran, Jota and Lewis Macleod due to return to first team fitness soon, that style of football is one we could be set to enjoy even more. As Uwe is sacked, who’s next on the sausage train ? Well that all came out of nowhere. 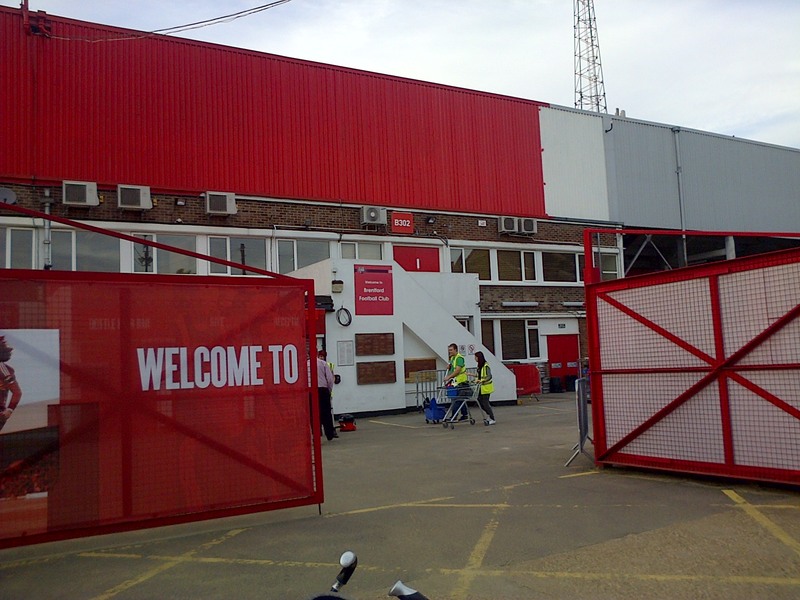 Whilst we’ll get to Brentford (and begin the Wolves preview) shortly, along with another new idea for Lionel Road, we can only begin at Leeds United where former Bees boss Uwe Rösler has been shown the door by Massimo Cellino. In his place, Steve Evans jumps straight from parting company with Rotherham United to becoming the Italian’s sixth head coach in 18 months. You couldn’t make it up. Uwe, who had previously struggled with a doomed Wigan Athletic before being relieved of duties, didn’t stand a chance given the controversial owner’s previous track record. And now, just 12 games into his new career at Leeds, it’s all over. The FA followed this up by promptly banning Cellino from running his club after being found guilty of another tax offence. 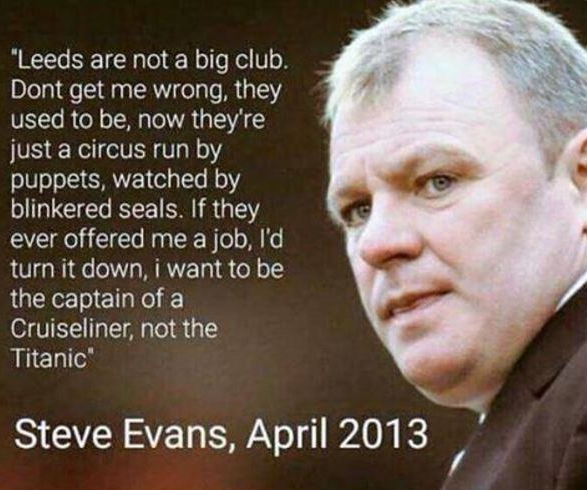 But just when it couldn’t get any crazier, a 2013 quote from Evans began doing the rounds. For anybody who has had his or her head in the sand for the previous 24 hours, it’s below. We all say things that we ultimately live to regret but this is a whopper. Even more bizarre is the line, “I want to be the captain of a Cruiseliner, not The Titanic”. By what stretch of the imagination could Rotherham United have ever been considered a Cruiseliner? A pedalo, perhaps. We all know Evans loves shooting his mouth off but even by his standards this one was odd. Given his vociferous personality and Cellino’s ‘no-nonsense’ approach this is either going to be the ultimate stroke in managerial genius or the Italian will be looking for manager number 7(seven) by Christmas. I’m betting on the latter option. 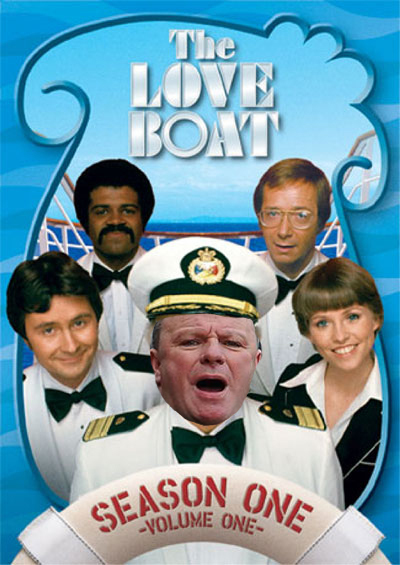 Will Steve Evans find it ‘plain sailing’ on his new Cruiseliner? As for Uwe, what next? 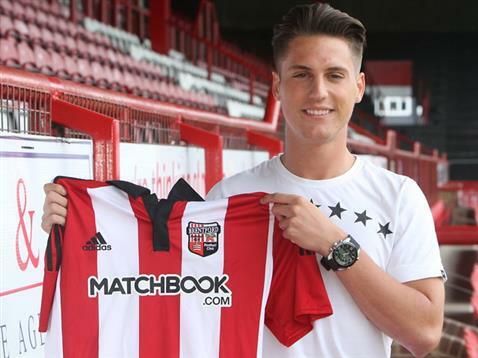 He left Brentford in a great position to return North where, sadly, things haven’t gone to plan. The Bees kept going without him whilst we all know what happened next at Wigan and now Leeds. Supporters are already muttering about him coning back but I think that Cruiseliner has long since sailed. Much as there is emotional familiarity there, the club kept going without him. I’ll be eternally grateful for the position he got us to but it was Mark Warburton, with the backing of Matthew Benham, who was ultimately able to make the big step. Then again, but for that penalty…. (hey, it’s been a while). Back in West London, the development squad recorded an impressive 3-2 victory over Crystal Palace. Moreso, considering Brentford were 2-0 down in the second half. However, a Montell Moore effort and two Sam Saunders goals in injury time (or ‘Autumn’ as its known on the training ground) were enough to complete a remarkable turnaround. The win is great news, but even better is the thought of Sam Saunders returning to such imperious form. One thing the team has been crying out for is the sort of flair and enthusiasm brought by the likes of Sam and Jota (thanks, Dougie). Whilst Charlton Athletic on Saturday is probably a bit too optimistic, could we see him back in time for an appearance in the QPR game on Friday week? What a time to come off the bench that would be. The main reason we are talking about all of this is because the Wolves game, originally scheduled for tonight, has been put back 24 hours. Us football fans are very much creatures of habit and to play midweek on anything but a Tuesday feels somewhat odd. It shouldn’t but it does. Much like when we lose the toss and the opposition does the sneaky trick of making us swap ends so we kick ‘the wrong way’ in the first half. It is a situation that rarely ends well (go on statisticians, prove me wrong) and leaves me feeling less than comfortable. On the plus side, it means the players have had a bit longer to recharge after Saturday’s win over Rotherham but will it make a difference? For those of us not going, Mark Burridge, Ciaran Brett and Mark Chapman provide the Beesplayer comms. Where we can find out. And finally, Lionel Road. Whilst we are still awaiting that photo of Mark Devlin and Matthew Benham leaning on shovels as we finally ‘break ground’, discussion around the stadium, and how it will look, continues. And overnight, the possibility of the Brentford monorail has risen from the ashes once more. 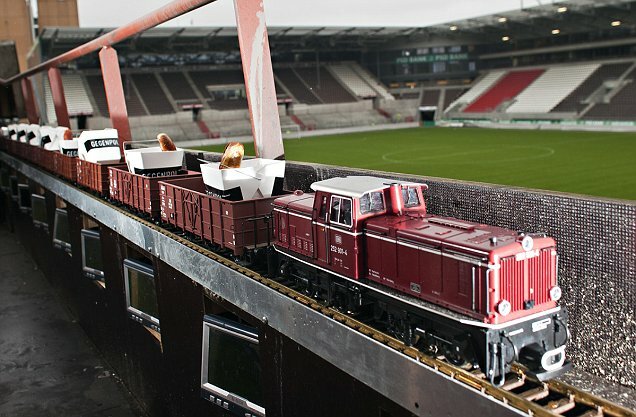 By possibility,I mean in no more form than just my own warped imagination where a photograph of the St. Pauli sausage train crossed my social media timeline. Whilst now, sadly, defunct, back in 2010 the VIP seats at the German club were served by this most special of train services. Running every five minutes from the club kitchens, it brought hot bratwurst to those in the top seats. Presumably, to be washed down by the individual beer pumps at every chair. If Matthew Benham is reading (you never know) how about something similar at Lionel Road? What finer way to have your pie served than without even having to leave the seat? At a time when we are looking to make the new ground that little bit different (and the ‘hot seat’ idea is already one that has previously met with approval), how about it?